Consumers are changing, dismissing the old-style retailer values and demanding a new relationship with brands which goes beyond the traditional supply and demand model. Rapid advancements in technology and connectivity mean that today’s consumers can get what they want, when they want, where they want it. In turn, the consumers new-found control offers important opportunities for businesses. Technological developments have broken down many barriers, giving brands the opportunity to get closer to their customers and gain an improved understanding of their behaviours. 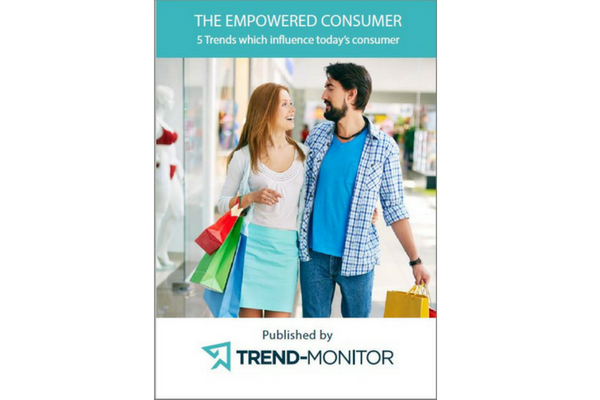 Trends never occur in isolation and this report joins the dots between the individual consumer trends and brings to you the ‘Empowered Consumer’; a new confident shopper who has increasingly sophisticated expectations. We examine 5 key trends that make up the Empowered Consumer, assessing why each trend matters to brands and how they can benefit from it.